eTrucks – Quiet. Clean. Safe. 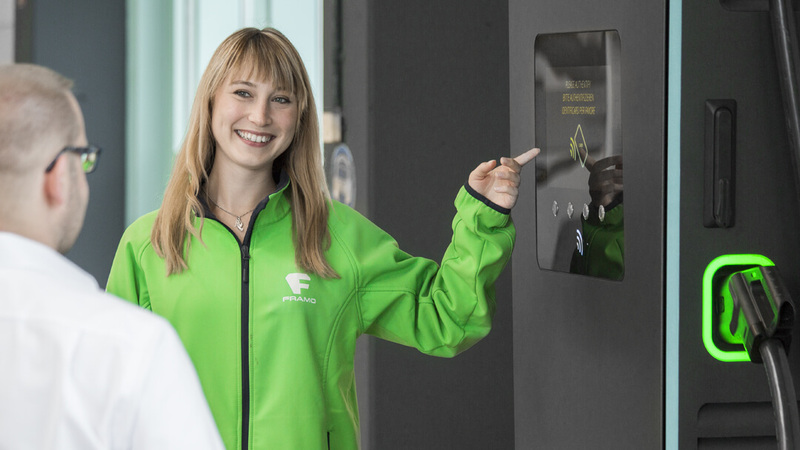 E-MOBILITY in the lorry range of 7.5 to over 40 tonnes – that is the core business of FRAMO GmbH, the leading provider with the widest range of industry and special solutions. FRAMO provides your dream vehicle with state of the art drive technology, combined with highly efficient energy and service solutions. FRAMO eTrucks relieve the pressure on the environment, reduce your costs and strengthen your presence in communities and environmental zones. Due to the combination of research with product development, alternative drive concepts and autonomous driving are achievable goals. With FRAMO you get on your eWay quicker. FRAMO eTrucks are products with cutting edge “Made in Germany” technology. 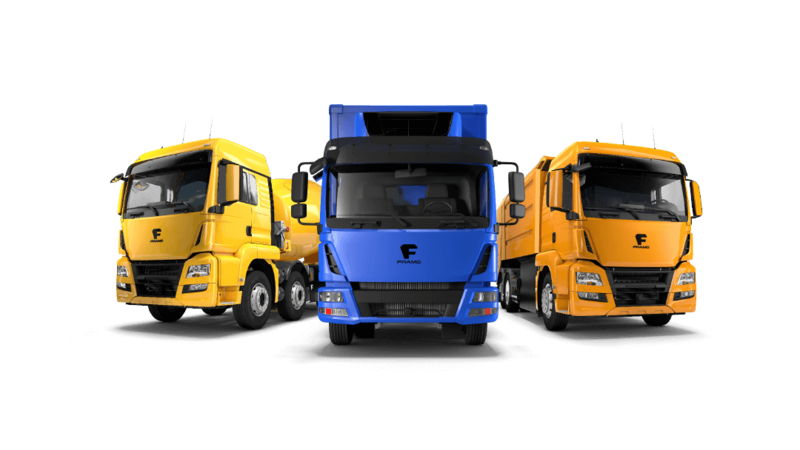 The energy storage, charging, and management systems see to it that your FRAMO eTruck is available for maximum utilisation. Our employees are FRAMO. Sticking to delivering dates, quality, and efficiency are general principles for each individual. Expertise, creativity, and responsibility in serving out clients – that’s how every FRAMO employee lives. 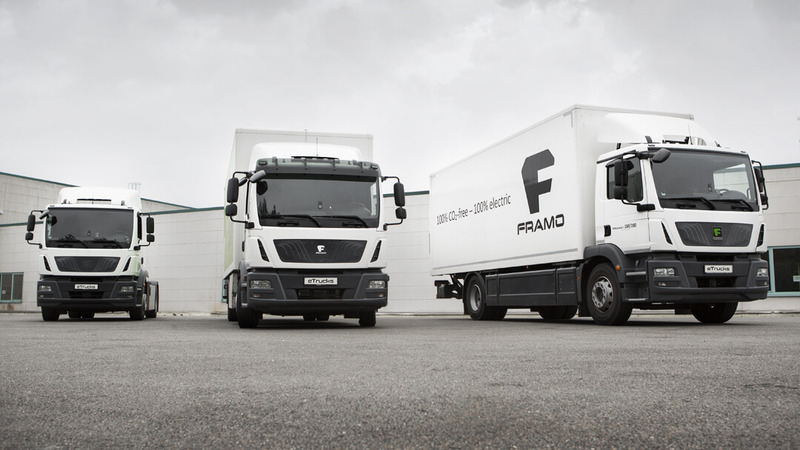 With FRAMO eTrucks and our flexible ALL IN ONE service solutions, you’re always heading in the direction of energy and cost efficiency and relieving the pressure on the environment – all by buying your FRAMO eTruck. Experience our quiet, clean, and safe FRAMO powerhouse with its world première from 20/09 until 27/09/2018 at IAA NFZ in Hanover, Hall 13, Stand C15. The USB key for your FRAMO eTruck world is ready for you at our exhibition stand. Our team is looking forward to your visit. 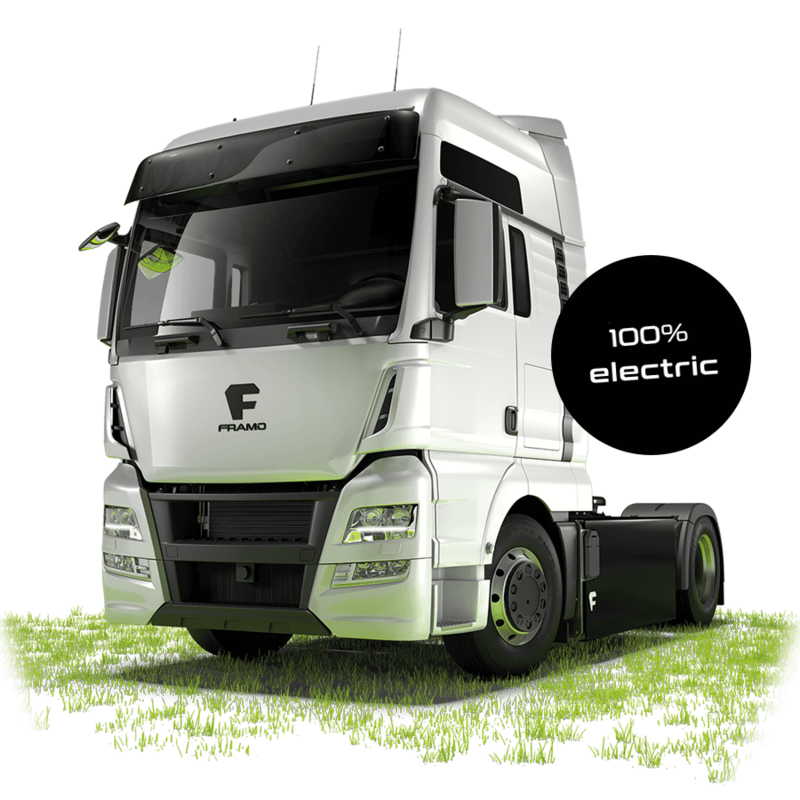 FRAMO is a modern company offering cutting edge products, flexible solutions, and interesting career prospects around eTrucks of up to 44 tonnes. Be inspired. Get to know FRAMO eTrucks, our team, and our company. Drive one of our eTrucks on the Sachsenring racetrack or on our business premises. Learn more about eTrucks, ALL IN ONE services, and your career prospects at FRAMO. Our FRAMO team is looking forward to seeing you, and to having an exciting day.